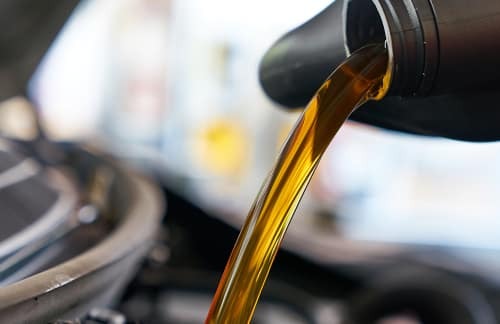 Oil is the lifeblood of your vehicle’s engine, so performing regular oil changes is one of the best things you can do to protect your engine’s health and longevity. Find out all you need to know about your Toyota’s oil changes and learn more about oil change services in Doral, Kendall, Miami, and Hialeah at Doral Toyota. For older vehicles, oil changes have usually occurred at intervals of three months or 3,000 miles, but the engineering of modern vehicles has changed this interval. Most newer vehicles can go 5,000 to 7,000 miles between oil changes, especially if they’re properly cared for; however, your vehicle’s individual oil change schedule will vary. Consult your owner’s manual to find out your vehicle’s recommended oil change interval. Having low engine oil is just as bad for your engine as having old or dirty oil. When the oil is low, it can’t move efficiently through your engine to keep the many moving parts cool, lubricated, and clean. Your low oil pressure warning light is on. You smell burning oil inside your vehicle. Your engine is loud and making unusual noises. Your fuel economy is low. Your engine’s filter removes the grit and grime from your oil, which prevents contaminants from entering the engine when it circulates. Due to this, your oil filter needs to be clean to allow oil to perform optimally. Generally, your filter should be changed with every oil change to ensure your engine gets a fresh start and continues to perform at its best. Though you have a general interval to change your vehicle’s oil based on its maintenance schedule and your driving conditions, you may find that you need to change your engine oil sooner than expected. An oil change is a quick and simple service. 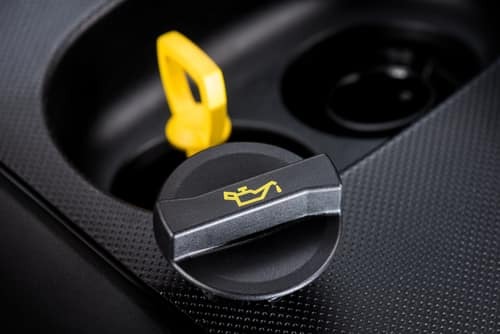 If you notice any of these warning signs, it’s best to schedule your oil change as soon as possible to prevent damage to your engine. If you’re in need of an oil change in Doral, Miami, Kendall, or Hialeah, the service technicians at Doral Toyota can help. Our experienced, ASE-certified professionals have all the necessary training and knowledge to perform skilled oil changes and recommend the best oil change schedule for your vehicle. We also perform a courtesy check of your fluids, components, and safety equipment, so you can get ahead of any necessary repairs before they become a major problem. So if you wondering, “Where can I get an oil change near me,” search no more! Call or visit our service center today to schedule your next service appointment!